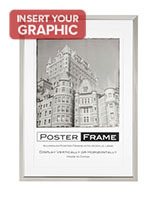 What separates a basic or standard poster frame from other types of print holders? 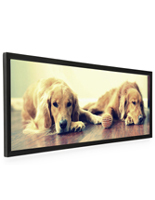 These wall mounted graphic displays feature a traditional, rear-loading design that is quite simple to use. 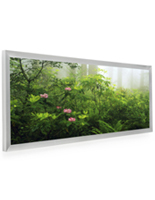 Standard poster frames are ideal for installing artwork, advertising graphics, panoramic picture displays, and showcasing marketing messaging. 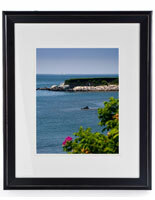 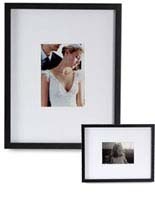 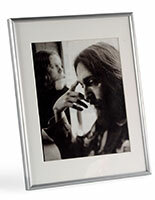 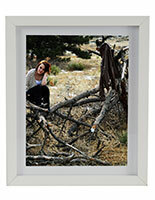 Like all our other ready made framing selections, these models are built to last. 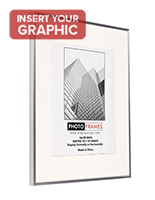 Our commercial grade standard poster frames are available in aluminum and natural wood in a variety of finish shades and matting options. 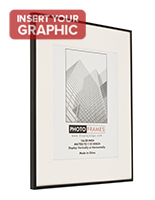 Use traditional graphic framing in a restaurant, office waiting area, convention center, retail store, or hospitality environment. 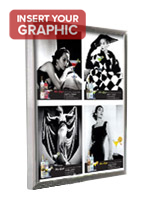 Wall mounted standard poster frames, sometimes referred to as traditional graphic framing displays, can be mounted to almost any wall or vertical surface. 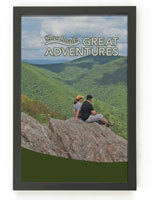 This type of easy-to-install graphics holder is a great choice for businesses, organizations, and schools with heavy foot traffic that want high visibility. 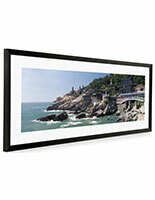 In addition to being easy to hang, almost every art display will accommodate portrait or landscape formatted prints, and specialty sizes such as panoramic picture framing are also available in a variety of profiles, sizes, and finishes are available to match any display need. 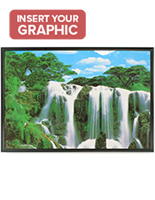 What features do these rear-loading wall mounted graphics displays offer? 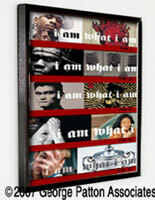 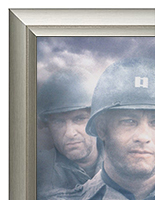 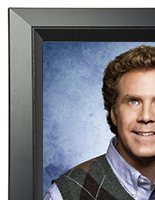 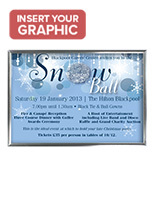 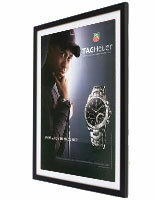 Standard poster frames are avilable in a choice of either a wide or slim profile. 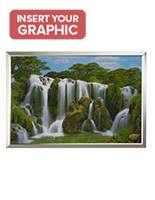 This way, customers are able to choose the style that best accents their graphics. 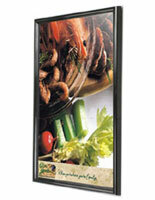 In addition, shoppers have a number of matting options. 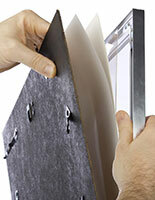 The narrower profiles typically include mat boards while the wider models do not. 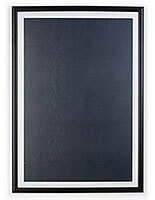 Most of the included mats are white, but some are black. 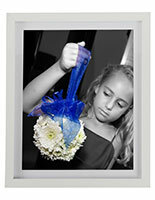 There are even a few that come with both colors. 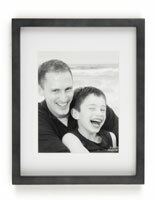 Traditional frames have removable backers and bendable retaining clips similar to that of photo and picture frames. 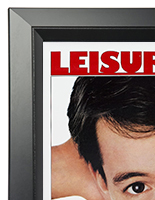 Poster framing like this does not load as easily as some of the other front-loading and slide-in versions, but the lower price is well worth the minor difference and is ideal for long-term displays. 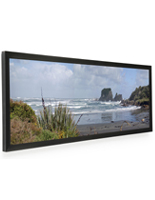 Every rear-loading graphics display unit comes equipped with a clear, protective lens. 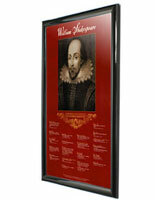 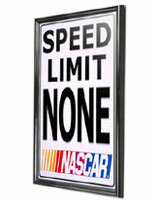 This overlay will preserve important sign postings or print art, so users do not have to waste money replacing graphics. 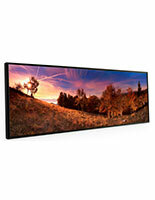 Additionally, the most of the lenses feature a non-glare coating that combats overbearing light, ensuring picture inserts or posters will be viewable in any setting. 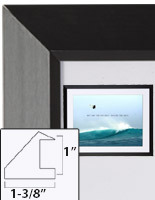 Ready-made traditional print holders are sold in multiple dimensions in portrait, landscape, and panoramic poster frame orientations. 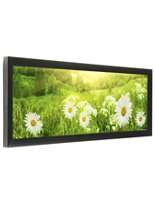 Whether used as directional signage in professional office environments, showcasing merchandise advertising in retail and commercial establishments, or creating an eye-catching series of print displays for a new art gallery exhibit, there are choices that will accommodate every need. 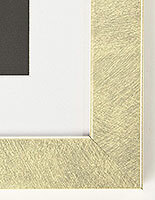 What finishes are available for the frames? 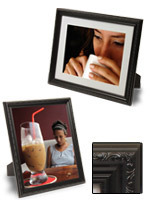 Black is the most common of the colors available and for good reason. 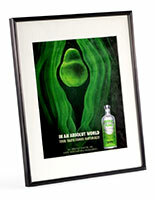 Customers typically need to match the artwork or promotional message as well as their environment. 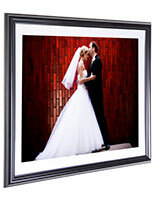 Black does an excellent job projecting elegance while blending seamlessly with most any backdrop. 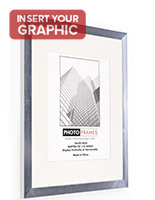 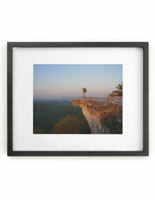 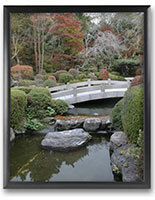 Silver poster framing blends very well with a wide variety of locations. 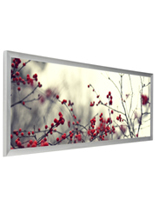 The shiny and brushed finishes draw attention, making this lighter finish color ideal for wall mounting in commercial environments. 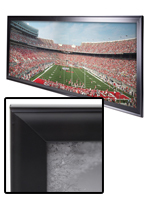 Directional information, promotions, and general information is commonly displayed in of the silver models. 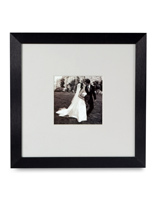 Neutral white frames are especially effective, as they provide attention-getting contrast to building and room decor as well as graphics. 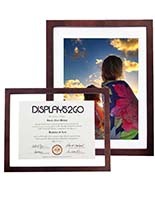 This type of high-visibility framing can be used to attract customers to merchandising or marketing graphics or advertising displays in hotels, restaurants, and other hospitality environments as well as retail sales and showroom locations. 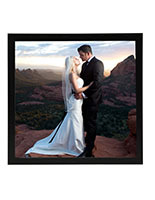 Traditional wall mounted poster frames in natural wood finish colors offer a classic look that can be matched to any decor. 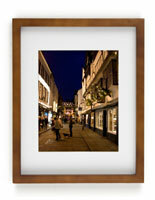 Available in a full range of shades from light oak to deep browns, wooden finishes are particularly eye-catching when combined with bright white or neutral matting for contrast. 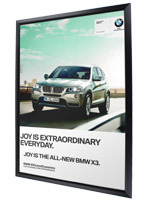 An essential advertising tool, a poster frames provides an effective method for promoting retail messages or graphic art with equal success. 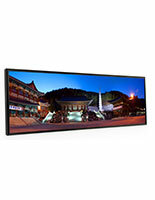 Banks and financial establishments love using the displays to highlight frequently changing services, rates, and other important consumer information. 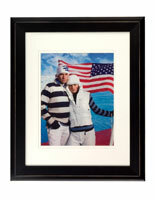 Clothing stores present the latest fashions or lines of merchandise. 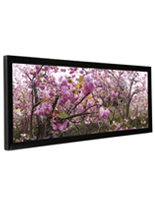 Schools and universities use quick-change picture displays to hang motivational postings, directions, or other helpful notices. 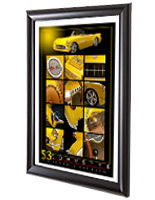 AllPosterFrames' huge selection of graphics framing spans all styles, sizes and finish colors to allow businesses, organizations, and even commercial resellers to easily find and order picture and signage holders to meet any need, or budget.